The TI Nspire CX CAS is so powerful that it might not be allowed in your math class. So, before getting excited about its capabilities, please check with your instructor. If you can use it, definitely take the time to learn how to use it to solve algebraic equations, factor algebraic and rational expressions, and graph functions as well as relations. If you’re taking calculus, learn how to find derivatives (general form and at a point), and integrate (definite and indefinite integrals). Quite honestly, there is too much functionality of the TI Nspire CX CAS to cover even the basics in this post. The reason is that it can do everything a TI 84 graphing calculator can do in addition to solving algebraic (and other types of) equations. It’s the CAS in the name. It stands for calculator (or computer) algebra system. This allows the TI Nspire CX CAS to solve equations. solve(). You enter your equation in the parentheses. In this particular equation, since x is the variable, we’ll enter ,x at the end. This way, the calculator knows to solve for x. Sounds funky, but once you encounter multi-variable equations, you’ll realize that one variable can have a solution in terms of another variable. In any case, that’s another explanation for another day. So, for this example, the calculator output is x=-3, x=-2. Those are the two solutions to this equation. The graphing is rather straightforward. It’s sort of a cross between graphing on the TI 84 Plus and Desmos. Actually, you can set it so that you see the function you are graphing on the coordinate axes themselves. That is an improvement over the TI 84 as it removes the guesswork when you have more than one function graphed simultaneously. But, in addition to graphing functions as the TI 84 can, you can set the TI Nspire CX CAS to graph relations, such as conic sections. Also, you can set up parametric graphing much more easily than with the TI 84. Then, there are the extensive calculus functions. Just as on the TI 84, you can take a derivative at a point. However, now you can also find the general form of a derivative. 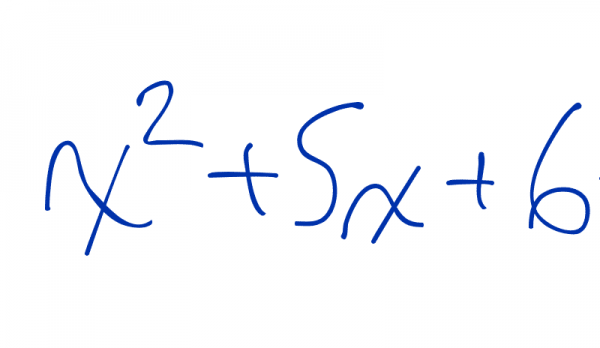 For example, if you wanted to find the derivative of the expression pictured above, the output would be 2x+7. That is not available on the TI 84 nor many other graphing calculators. So, too, can the TI Nspire CX CAS give you the indefinite integral of an expression. Let’s find the indefinite integral of x2+7x-13. The output would be x3/3+7×2/2-13x. You just have to remember to add a plus C at the end so as to avoid losing points. Hope I’ve provided you with an adequate overview of the functionality of the TI Nspire CX CAS. Before buying this calculator, please be absolutely sure you can use it on tests and quizzes in your class. Otherwise, using this calculator becomes like heroin. It feels great, but doesn’t help in reality. Oh, and the best places to buy are Amazon, Staples, Best Buy, Wal-Mart, or Target. I’d recommend local vendors over online ones so you can return the calculator if there are any problems. If you can wait, late August is usually the best time of the year to purchase locally. Then the TI Nspire CX CAS costs a little over $100. Good luck! Be sure to set up a session if you have any questions or want to learn more about how to use your TI Nspire CX CAS.